Asking Alexandria recorded a new song with original frontman Danny Worsnop. In Seattle this week, Worsnop went on stage to perform with Asking Alexandria. Green Day and Twenty One Pilots will be performing at the AMAs this year. AFI announced they have a new album on its way. On top of the news, AFI released two new songs. The guys in Knuckle Puck got into a car accident, and despite the cost, Knuckle Puck to finish touring with The Wonder Years. I Prevail released a new music video for the song “Stuck In Your Head.” Check out the video here. Real Friends released their music video for “Mess” via. YouTube. The video is very retro Halloween. Check out Memphis May Fire’s new album The Light I Hold. Be sure to check out some festive Halloween band merch, like Real Friends Halloween inspired. Tweet me at @ovictoriax31 or @ovictoriamedia and let me know what you’d like me to write about for next week. Rock on, stay humble, and be positive. As It Is released the new music video for “Pretty Little Distance” via. Fearless Record. Panic! At The Disco performed on Good Morning America on October 20. Check it out here. Brand New is on the road with Modern Baseball and The Front Bottoms. Tonight, October 21, this will be their first night on tour in Grand Rapids, MI. This tour is for the 10th anniversary of Brand New’s album The Devil And God Are Raging Inside Of Me. Ticket information can be found here. Lifelines by I Prevail released today. Integrity Blues by Jimmy Eat World released today. Ben Barlow left near the end of the “Made To Destroy” tour due to his father’s passing. Members from State Champs, Pierce The Veil, The Word Alive and more sang in place of Barlow. Oct. 16, 2016 marked one year that State Champs released Around The World And Back. “Palisades” by Aggression released on October 20. You can listen to it here. Melanie Martinez is going to be on the cover of the upcoming issue of Alternative Press, 341. Paramore is almost finished with the vocals for their upcoming fifth album. This entry was posted in Music Updates, Updates and tagged Alternative Music, As It Is, brand new, i prevail, jimmy eat world, neck deep, paramore, pop punk music, state champs, the front bottoms. Bookmark the permalink. On October 14th, Like Pacific, Broadside, Rarity, and Boston Manor performed at Amityville Music Hall in Amityville, NY. This is one of their many stops for the “Distant Like You Asked” tour. This tour started in Montreal, QC on October 10 and ends Novever 6 in Hamilton, ON. 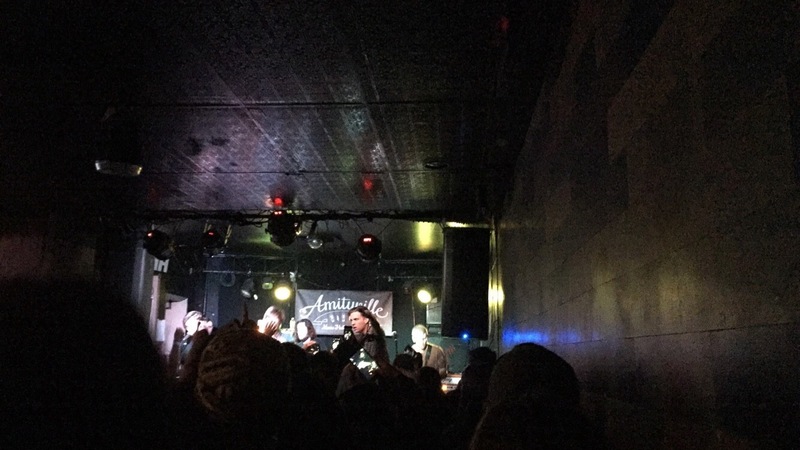 Amityville Music Hall is a small venue that holds approximately 500 people, and this show was sold out. I arrived at the venue near the end of Boston Manor’s set, but there were a lot of people who arrived on time to see Boston Manor perform. Boston Manor has a new album out Be Nothing via. Pure Noise that released at the end of September, and if you haven’t already, be sure to pick up a copy of their album. The guys in the band are all sweet hearts. I purchased their latest CD and their EP through Henry Cox, their vocalist. He was so friendly, talkative, and very pleasing to the eye. He was telling me that everyone was nice to him at the venue which is what makes this music scene so great. After Boston Manor and an intermission, Rarity was next on the lineup. I’ve seen Rarity perform with Broadside last year at the Home For The Holidays show. Rarity is a fun band to see live, and seeing them again with a bigger crowd was even more enjoyable. 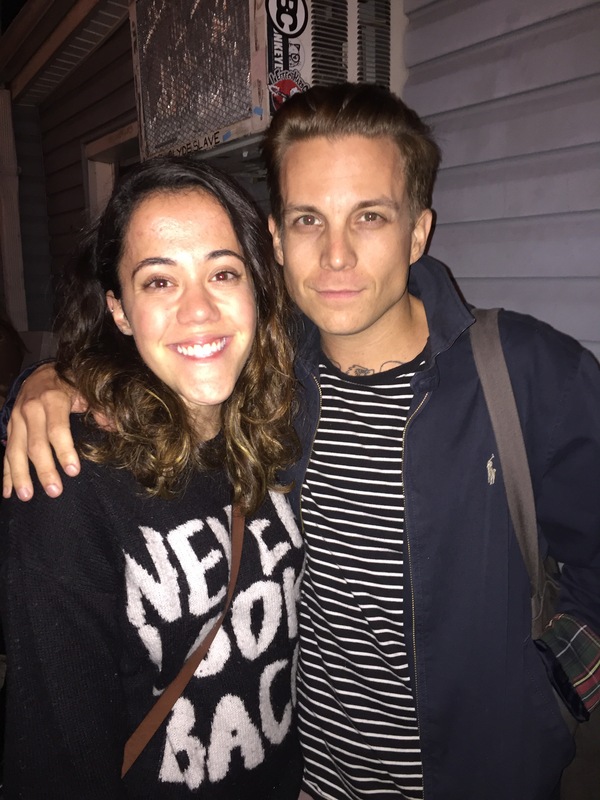 At the end of Broadside’s set, I talked with Oliver Baxxter, the lead singer of Broadside. He remembered meeting me at Warped Tour, and I had a small interview with him outside. I saw Like Pacific perform one or two songs, but I spent most of Like Pacific’s set talking with Oliver Baxxter about upcoming plans for Broadside, his favorite songs off of Old Bones and much more. I had such an awesome time at the show. Primarily, I wanted to see Broadside, but I had a great time seeing Boston Manor, Rarity and a bit of Like Pacific. 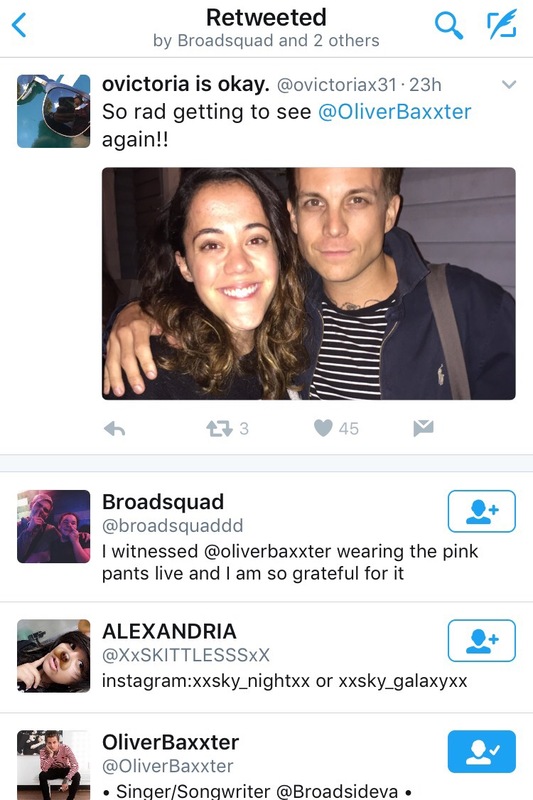 Boston Manor liked my tweet, and Oliver Baxxter retweeted and liked my tweet. Sorry for the late blog post! I’ll be posting next week’s blog post on Friday. Until then, rock on, stay humble, and be positive! This entry was posted in Concerts, Music Related Event, Review and tagged Alternative Music, boston manor, Broadside, concert review, distant like you asked tour, fall tour, Like Pacific, rarity. Bookmark the permalink. 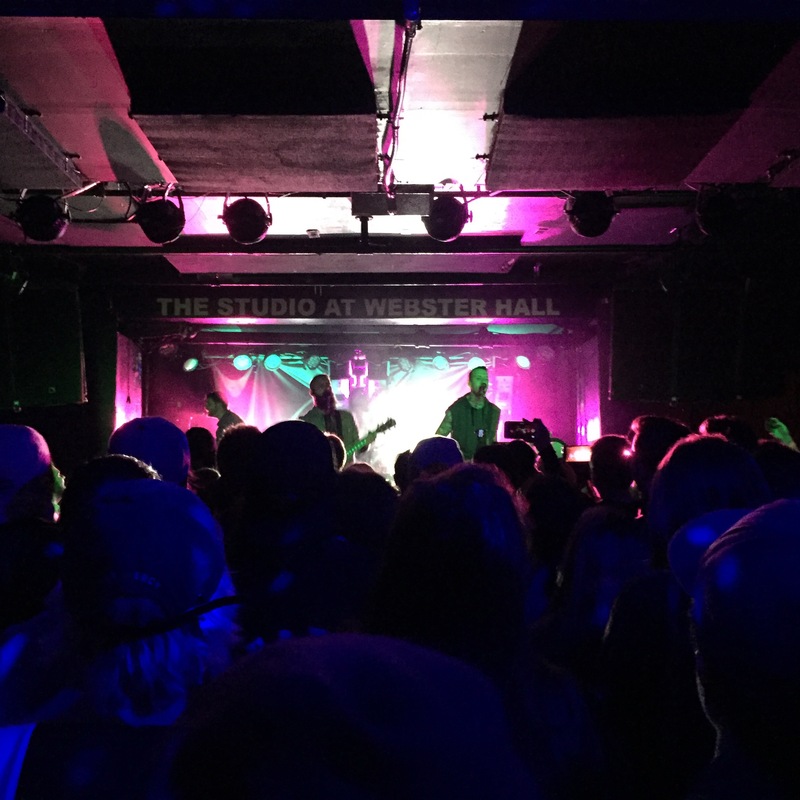 On Tuesday Oct. 4, I attended the Studio at Webster Hall in New York City to see This Wild Life perform. Prior to this show, I’ve seen This Wild Life play at Warped Tour in 2014 and 2015 and saw This Wild Life open for Mayday Parade on the AP Tour in Fall of 2015. I was super excited to see them again after a year break from them. Movements and Have Mercy opened up for This Wild Life. I saw Movements open for Real Friends this year, and the guys are so genuine and passionate about their music. The crowd went crazy for Movements and Have Mercy with crowdsurfing and singing along to their lyrics. Have Mercy announced that AJ Perdomo (ex-The Dangerous Summer singer) was at the venue. I was in shock that I got the chance to share a room with a guy who got me into the music that I listen to. Of course, they’re definitely other bands that got me into this genre, but The Dangerous Summer is one band I wish I got to see live. The energy of the small venue was vivacious and harmonious. This Wild Life picked a great set to demonstrate the growth they had as a band. I loved getting to hear “Pink Tie” live and “Just Yesterday.” Even though Pierce The Veil, Neck Deep and I Prevail were in the city the same night, it was awesome to see how packed the Studio at Webster Hall was. It was outstanding seeing This Wild Life headline their own tour for the first time. I saw This Wild Life perform with about 50-100 people the first time at Warped Tour and to see the band evolve and grow as big as they’re getting is something I’m proud to be apart of. If you haven’t already, check out This Wild Life’s album Low Tides that features the songs “Falling Down” and “Pull Me Out.” If This Wild Life hasn’t stopped at your local venue, definitely take the trip to see them live. In other news Green Day’s Revolution Radio, Sum 41’s album 13 Voices, The Devil Wears Prada’s album Transit Blues, and Set It Off’s album Upside Down released today, October 7th. Yellowcard embarked on their final world tour this week. What a great day in music! 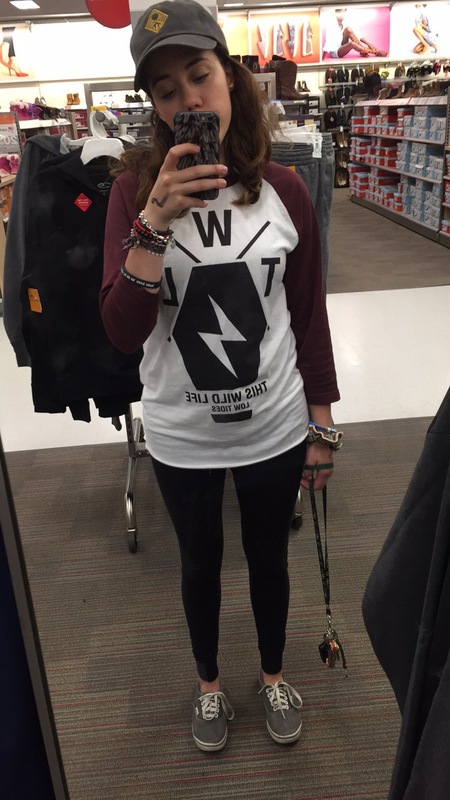 Band Merch: I bought a Movements dad hat and This Wild Life baseball tee-shirt. Next week, I’ll be posting a blog post about my experience at Like Pacific, Broadside, Rarity and Boston Manor on Saturday. This entry was posted in Concerts, Music Related Event, Review and tagged Alternative Music, concert review, Green Day, have mercy, low tides tour, movements, set it off, sum 41, the studio at webster hall, This Wild LIfe, webster hall, yellowcard. Bookmark the permalink. The singles that were released off thei album were “Rest In Peace,” and “The Hurt Is Gone.” Yellowcard is touring one last time before breaking up. Ticket and tour information can be found here. In other news, Microwave released Much Love via. 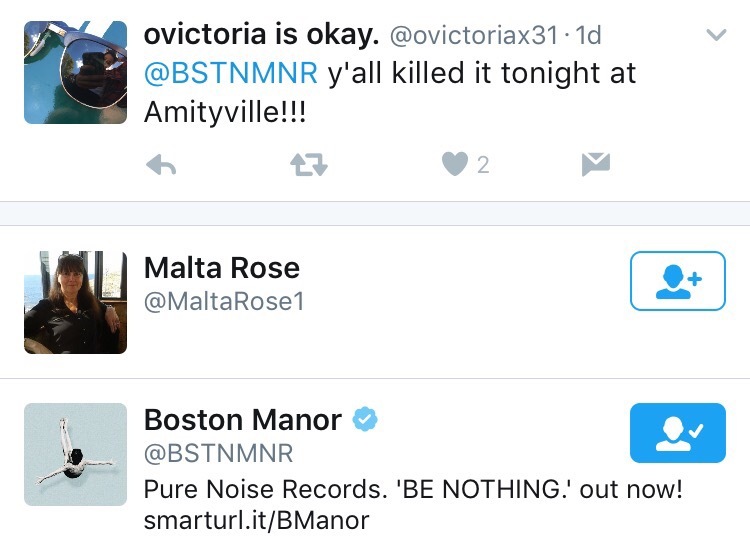 SideOneDummy Records,) Boston Manor made public their album Be Nothing via. Pure Noise Records, and Suicide Silence confirmed a self-titled album to release. Last week, I had the privilege to meet Real Friends in Pennsylvania for their music video. Although there was an issue with the shuttle taking people to the shoot, I had a great time. 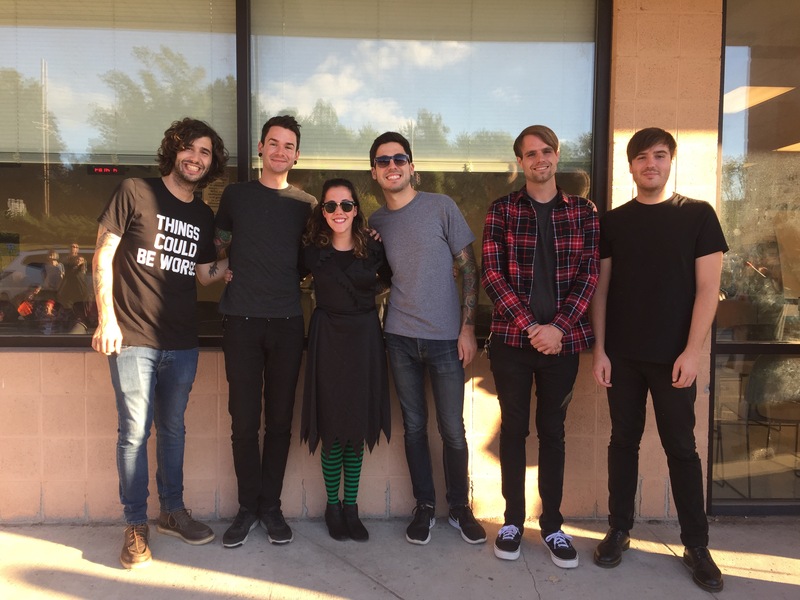 Real Friends did an acoustic show outside of a DMV, and after that took pictures with each person there. Photo of Rea Friends and myself outside of a DMV in Media, Pennsylvania. I requested the song “Colder Quicker” which Real Friends played. Though I wasn’t in the video, I had a great time meeting new people, seeing Real Friends perform, talking with Dave Knox for a few minutes, and meeting Real Friends. It was truly a great day. This entry was posted in Concerts, Music Related Event, Music Updates, Updates and tagged Alternative Music, boston manor, New Album, Real Friends, yellowcard. Bookmark the permalink.